I get frustrated if I know there are features ready to be tested, but I have to wait for those features before I can start testing (e.g. to be included in a release). I see development teams as being made up of people fulfilling software development roles & tasks. E.g. Programmers write code which Testers help to reduce the uncertainty in (test it). We’re both helping to deliver software to a customer. Without either of us, the software the customer is hoping for is not likely to be delivered. Liken this to the chefs in the kitchen – they are all chefs preparing one element of a dish. E.g. Fish Chef prepares the fish, the Saucier prepares the sauce to compliment the fish. How good is the sauce without the fish? Ultimately, I see those who write the code & those who ask questions of the code both as developing the software. I focus on the roles of the people, not their title. Like the kitchen brigade, those people preparing the food are all chefs. 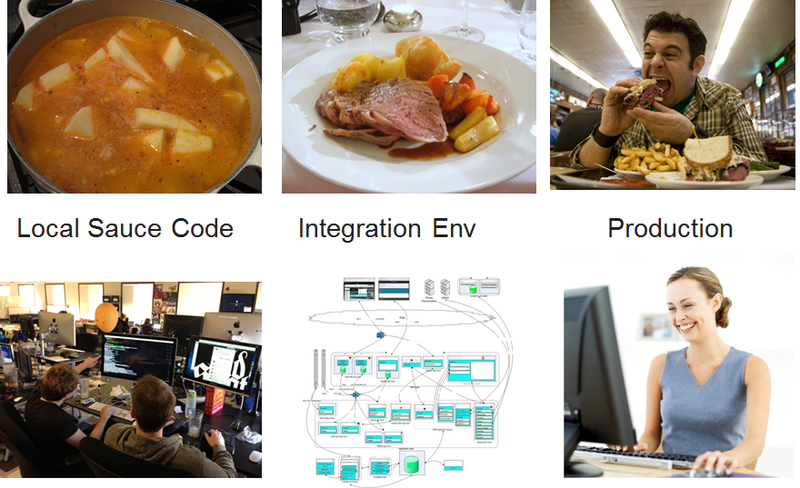 In that they fulfill a role on a development team, as do Programmers – like chefs fulfill roles in a kitchen brigade. Programmers are Developers. Testers are Developers. We work together to deliver software. I cut this statement out of the session as when I was trying out the session on my work colleagues it distracted to much from the main focus of the session. I now keep it as meta rule & talk to people about it who want to have that discussion. Some great feedback I got from this statement was that although we shouldn’t say if the software is not/good enough, we can bring our knowledge & experience to provide a more informed response. 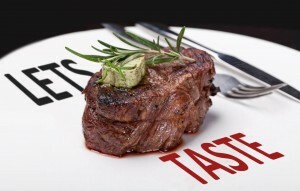 I took the example of tasting food for it’s salt content – we wouldn’t say the food was too salty or not salty enough. We could say that there is more salt compared to the same dish prepared last week. Is there a reason for the extra salt? Is the extra salt a problem? Was the reduced salt a problem? We could also compare the salt content to the recipe – the recipe states add 5 grams of salt. There is more than 5 grams of salt in that dish. Focus is on taste. Does the flavour of the food or sauce work by itself? Bugs found here can be scooped out of the pot & squashed quickly & easily – the customers should have no idea this bug ever existed. Focus is on functionality. Does the feature work as expected independently of other features (if applicable). Bugs found here are cheaper (& easier?) to fix – the customers should have no idea this bug ever existed. Focus is on feedback from the customers – did the food arrive in a timely manner? Was it warm enough? Was it what they even ordered? Focus is on feedback from the customers – did the product arrive in a timely manner? is its performance good enough? Was it what they even wanted? As I mentioned earlier, I prefer to start my testing sooner & I don’t mind if the feature is not 100% complete. In fact I find value in being able to test chunks of the feature as opposed to all of it in 1 go. Who Says 3’s a Crowd? A key advantage I’ve found of testing sooner includes faster feedback, with the Business Stakeholders when agreeing what the thing is or with Programmers who wrote the code minutes or hours ago as opposed to days or weeks ago. To the Business, this speedy feedback enables to make crucial decisions sooner. Dare I say it helps them to pivot if needs be? Other advantages include less time in an integration environment (as the majority of functional bugs should have already been found) & better communication – people actually talk to each other as opposed to long email chains where the original context may easily get lost & information gets mis-interpreted. I’ve also found testing out of an integration helps to provide more accurate estimates (if that’s what you have to do). You are not waiting for a release to an integration environment, or for that environment to be available. If you find a bug testing in a dev environment, bugs can be turned around quicker – you don’t need to pull the build out of a dev environment like you may have to an integration environment. So 3 days test effort = 3 days, rather than 3 days test effort over 7 days due to waiting for an environment or multiple releases to that environment. Several people have commented that it appears that the Programmers will get lazy as they believe the Testers will clear up after them. I have found the opposite to be true; I am having conversations with the Programmers in their language, earning their respect & building rapport. With a joint understanding of the thing being developed & the reasons why, we have a common goal which we both want to achieve. It is a lot less us & them. It’s Sunday & your folks are visiting for the weekend. You are preparing a meal for 6 (if you include your wife & 2 kids). You take time peeling & chopping the potatoes, preparing & steaming the veg and hours basting & cooking your meat of choice. After a 3 hour marathon in the kitchen, you serve up your food to be greeted with quizzical expressions, disgruntled moaning & reluctant forks pushing peas around the plate.